Photos taken at Notre Dame Cathedral offer a glimpse inside the cathedral’s sanctuary and roof structure, offering some hope — but a newly-released aerial image of the roof show widespread damage. 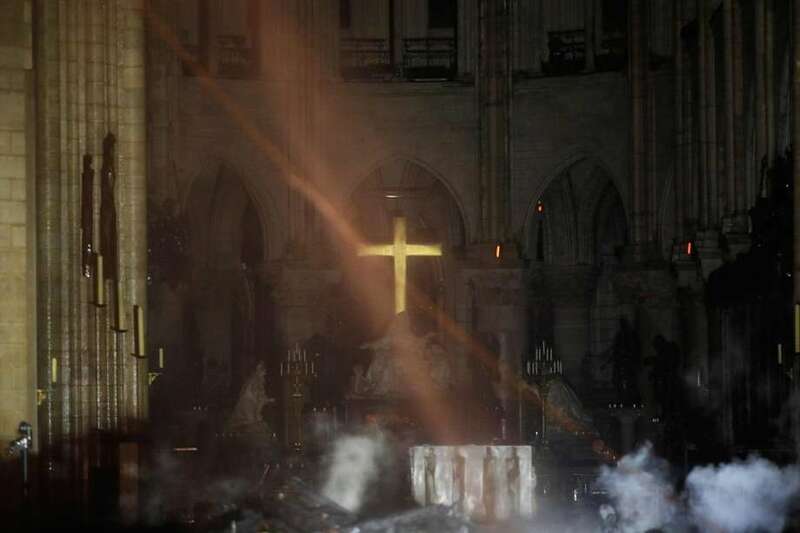 One French official and the Paris fire chief say they think Notre Dame Cathedral’s landmark rectangular towers have been saved from the fire that caused horrific damage, but the full extent of the damage is not known. Previous articleWe Have The Best Shitposters, PERIOD! Next articleWHEW? Julian Assange’s lawyer: Poop-smearing story is total crap.